The skin won in a landslide. Over four million League of Legends players recently cast their vote to decide what the next Tristana skin would be. 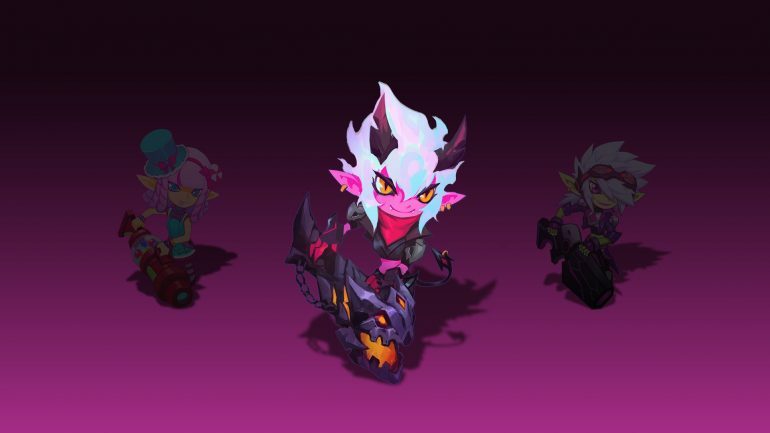 In February, Riot asked fans to choose what skin would be next for the Yordle ADC, offering three different choices: Demon, Sugar Rush, and Galactic Gunner. After the votes were tallied and verified, the winner of that contest was Demon Tristana, with an impressive 43 percent of the votes. Sugar Rush placed second, with 30 percent, and Galactic Gunner ended up third with 27 percent. So Demon won pretty much by a landslide. It’s the newest member of the Demon skin line, joining the likes of Vi and other champions in the pool. Riot hasn’t given a date on when players will get their hands on the skin as it is still in early concept stages, but it might release sometime around October to tie in with Halloween and the releases of other Demon-like skins.